During the last 15 years, miniaturized paraffin actuation has evolved through the need of a simple actuation principle, still able to deliver large strokes and high actuation forces at small scales. This is achieved by the large and rather incompressible volume expansion associated with the solid-to-liquid phase transition of paraffin. The common approach has been to encapsulate the paraffin by a stiff surrounding that directs the volume expansion toward a flexible membrane, which deflects in a directed stroke. However, a number of alternative methods have also been used in the literature. The most common applications to this date have been switches, positioning actuators, and microfluidic valves and pumps. This review will treat the historical background, as well as the fundamentals in paraffin actuation, including material properties of paraffin. Besides reviewing the three major groups of paraffin actuator applications—actuators, valves, and pumps—the modelling done on paraffin actuation will be explored. 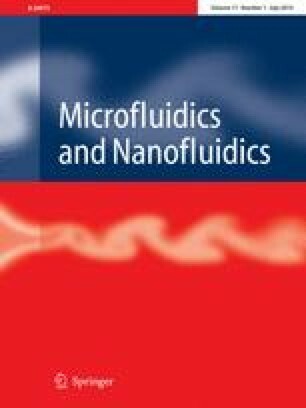 Furthermore, a section focusing on fabrication of paraffin microactuators is also included. The review ends with conclusions and outlook of the field, identifying unexplored potential of paraffin actuation.